Channel 4 gameshow Deal or No Deal has been cancelled after eleven years. 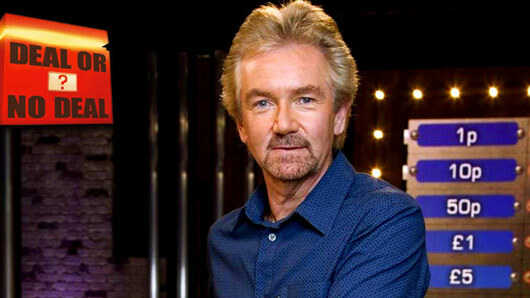 The Noel Edmonds-fronted series has reportedly been cancelled due to declining ratings, with the last episode set to air in autumn this year. Channel 4 gameshow Deal or No Deal has been cancelled after eleven years. According to the Daily Mirror, a source said the Noel Edmonds-fronted series had been cancelled due to declining ratings. Deal or No Deal invited 22 contestants to randomly select numbered boxes, which contained varying amounts of money between 1p and £250,000. One contestant would be selected to choose which of his fellow contestants’ boxes he would like to open. After a certain number of boxes were opened, a ‘banker’ would ring up and offer them a deal based on the estimated value of the remaining unopened boxes. The game continues until all boxes have been opened, regardless of whether the contestant takes a deal or not – with the objective to win as much money as possible. The show’s final episode will air this autumn and bosses have arranged a farewell tour for the series.